There may be a few readers who are interested in off camera lighting. I have been using this for a while and Canon recently released a line of speed lights that will completely overhaul the gear I shoot with and the simplicity in using it. Normally I am not one to jump onto bandwagons that pack many things into one, like having a phone that can take credit cards while playing games, listening to music and cruising the internet from the middle of nowhere. Now that Canon released the 600ex-RT, its newest flagship speed light with built in radio technology - my resistance to the everything-in-one-bandwagon may change. When I am shooting with lighting off camera, my entire system is in manual, from the camera's exposure, to the power of my flash because given my current technology, to trigger my lights at a distance without line-of-sight, I can only send an "on" signal, no extra "electronic-through-the-lens" (ETTL with Canon) exposure information. Meanwhile, when my speed light is connected to my camera via an ETTL cord or mounted directly to the hotshoe, it can choose the appropriate power based on my exposure settings and distance to subject and remove some of the manual settings, and thinking, I would normally deal with. Now the Canon 600ex-RT has this radio triggering built in where it no longer requires line of sight, and has a range comparable to the rock-solid reliability of the "Pocket Wizard Plus II" and it also sends the ETTL information as well. Meaning I can tell my distant flashes what power they need to be at, without leaving my shooting position - just by entering it into the back of the 600EX-RT. On top of that benefit of making more time for composition and relating to my subject or model, I can carry less gear, which means less set up time, less fuss, less batteries, and all in all, that makes me more likely to bring them out on my average walk and less opportunities for failure. 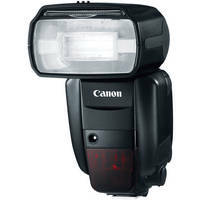 Only problem is the price tag, at a whopping $630 USD on most websites, its about the price of the 580EX-II speed light I use, plus the cost of the Pocket Wizard Radio Trigger I use with it. It could do wonders for an upcoming event like sports and music at the Center of Gravity next month, and definitely would've been sweet at Keloha last weekend - so here's hoping I find enough spare coin (haha like that exists) to get two of these. Oh ya, one on it's own is essentially useless for the Radio Triggering, you need to jump in with both feet for this one.